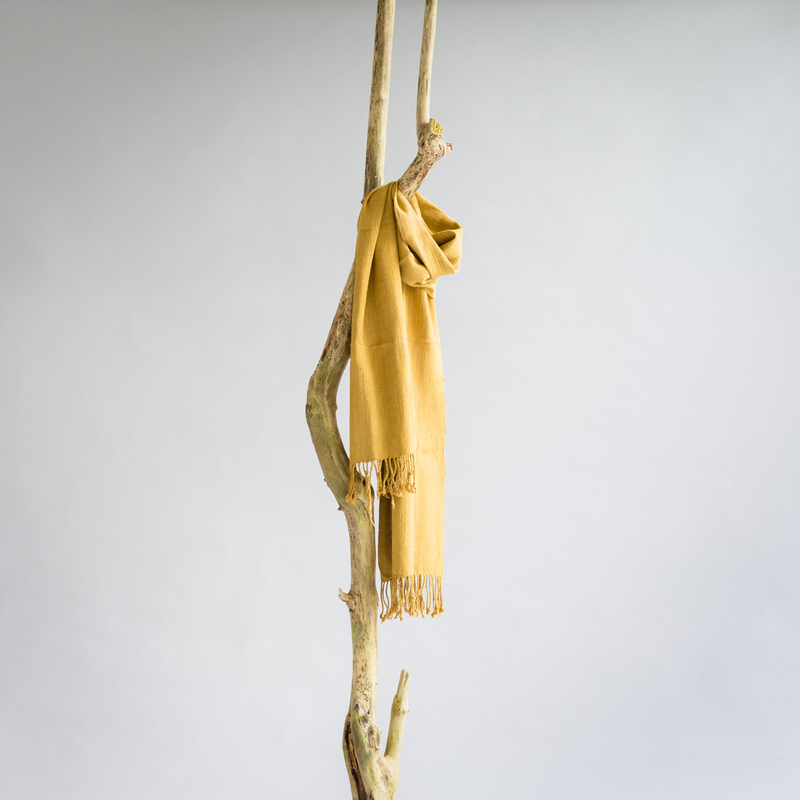 Naturally dyed lotus silk scarf from Myanmar. Myanmar is the only country in the world where lotus silk is being produced. Women from the water villages on and around Lake Inle are highly skilled when it comes to spinning silk-like threads from the golden fibre that can be found inside the stem of a lotus flower. A time consuming process. The women spin the threads, and then dye the fibre with dyestuff they made from natural ingredients. Lotus silk is traditionally being used for the robes of important Buddhist monks. Each scarf and each robe has been handcrafted with total dedication. Unique piece by unique piece. Myanmar has a strong tradition of weaving. Its many artisans have been long making the most beautiful handwoven silk fabrics and are also well known for their complex handwoven tribal cottons. 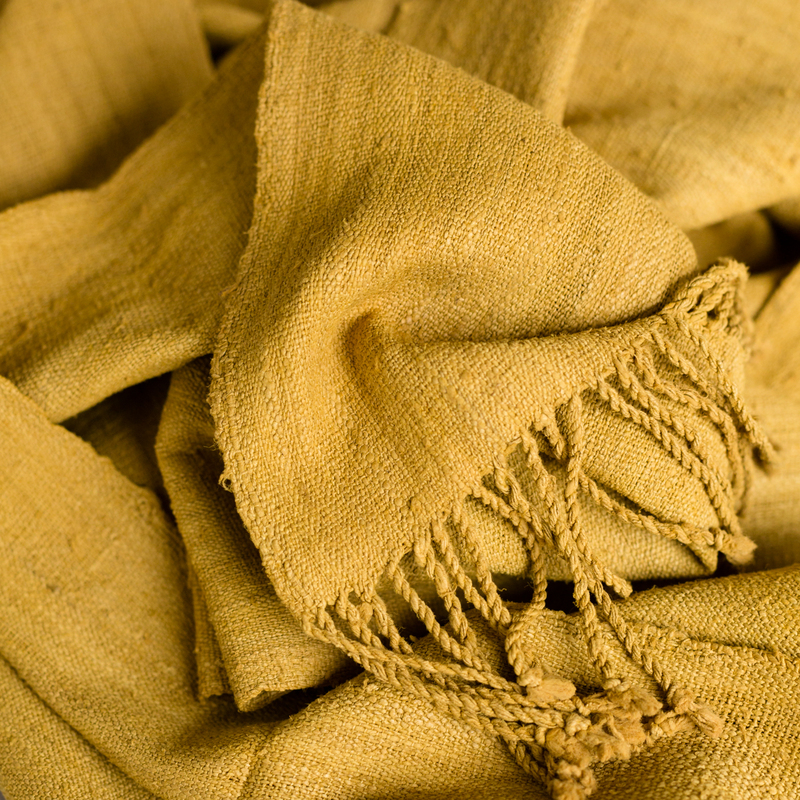 Lotus silk is a rare and highly exclusive fibre. The silk thread comes from the stem of a lotus flower. Therefore this fibre is 100% animal cruelty-free.